Anonymous Hacker managing Operation Syria (OpSyria) have released 1 GB of emails dump from Syrian Ministry of Foreign Affairs. Files are in files are in Arabic language. Documents includes scanned copies of Syrian ministers passports, details about an arms transport from Ukraine, report which shows that 200 tons of Syrian bank notes have been shipped from Russia. "Within the stash you will find details about cargo flights from Russia, each containing 30 tons of fresh Syrian Cash" Hackers said. 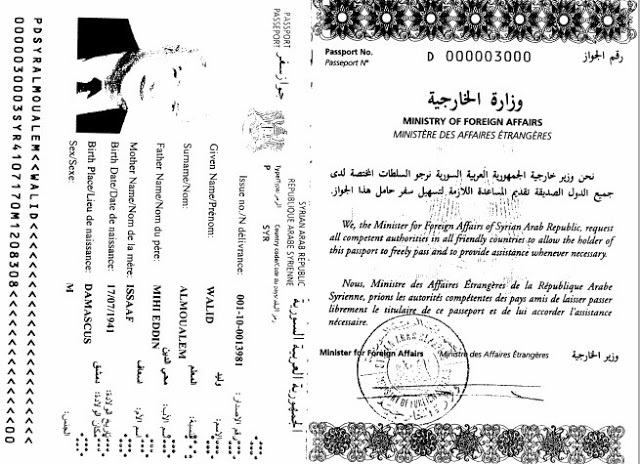 "Furthermore you will find lulzy documents such as scanned passports from Syrian ministers (PDF) and details about arms transportation from Ukraine".